Twenty years ago this coming Sunday (20th January 1993) was the historic date shared by the inauguration of a US President and the passing of a movie superstar. The inauguration of the 42nd US President marked the beginning of the first 4 year term of Bill Clinton as president and Al Gore as his deputy. Held in the capital Washington DC, Clinton was to be the first Democrat elected to be the leader of the western world for 12 years, taking over from George HW Bush and Dan Quayle. Much has been written about the terms served by Clinton. From the Monica Lewinsky affair to impeachment, and his role in the Good Friday Agreement in Northern Ireland (amongst others), upon leaving office, his Gallup Poll rating of 66% was the highest approval rating of any post war President, 3 points clear of both JFK and Ronald Reagan. 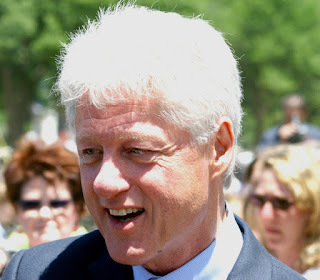 How did you rate the presidency of Bill Clinton? What will he be best remembered for? On that same date, the World was saddened to hear of the passing of the lovely Audrey Hepburn. The Belgian born, British actress was not only one of the greatest ever female screen legends, but also a fashion and style icon. 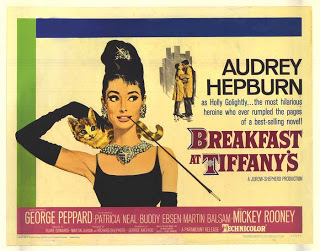 Remembered for such great movies as Breakfast at Tiffany’s, My Fair Lady and Roman Holiday (definitely one of Tatty’s favourites) and starring on Broadway as Gigi, as time went by she cut back on her acting work, devoting time to her role as an UNICEF Goodwill Ambassador. At the age of only 63, she died in her sleep of appendiceal cancer and is buried at Tolochenaz Cemetery in her adopted Switzerland. Not at all bad for someone ranked as the third greatest female screen legend in the history of American cinema, and placed in the International Best Dressed List Hall of Fame. What are your memories of Audrey? As mentioned earlier, I am still a great fan of Roman Holiday - which was your favourite film? How do you think Audrey rates in the all-time female screen legends? 100 years ago this month, the UK’s premier celebrity gardener was born. Long before the likes of Charlie Dimmock, Monty Don and Alan Titchmarsh hit our television screens, the only name when it came to the magical art of “green fingery” was the one and only Percy Thrower. 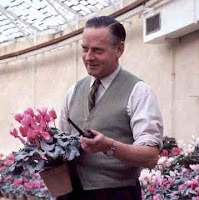 Born in rural Buckinghamshire on 30th January 1913, Percy John Thrower became a British institution, being known throughout the country and further afield, for presenting gardening programmes both on TV and radio. His broadcasting career started in 1956 when he was on the BBC’s “Gardening Club”, going on to present the iconic “Gardener’s World” from 1969 to 1976. But however famous he became, he always considered himself as a gardener first and a TV star second. 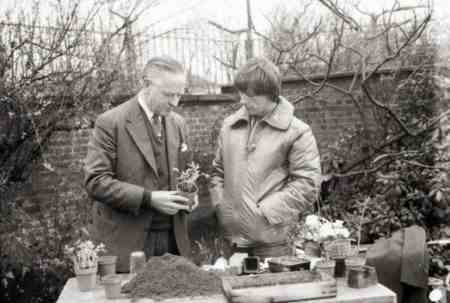 Gardening and horticulture ran in Percy’s family. Initially his father worked as a gardener at Bawdsley Manor in Suffolk and he went on to become head gardener at Horwood House in Bletchley (now a suburb of Milton Keynes). From an early age, Percy was determined to follow in his father’s footsteps and was apprentice to his father for 4 years upon leaving school. Further horticultural jobs followed, including working at the Royal Gardens at Windsor Castle, moving on to work in the City of Leeds Parks Department where he passed the Royal Horticultural Society General Exam. With his qualification, he moved on to the Derby Parks Department where he worked his way up to the positions of General Foreman and Assistant Parks Superintendant. Whilst based there he studied for and passed the National Diploma in Horticulture, and even became a lecturer at Derby Technical College. In 1946 he became the Parks Superintendent in Shrewsbury, being responsible for a staff of 35. Intending to stay in this position for just 4 or 5 years, he actually remained there until 1974. Between 1974 and 1987 he was known to millions of children as the Blue Peter Gardener, establishing the infamous Blue Peter Garden at BBC TV Centre. In 1983 it became national news when the garden was destroyed by vandals, breaking the hearts of the programmes viewers and Percy himself. He was married to Connie – daughter of the Head Gardener at Sandringham – and they had 3 daughters, Margaret, Susan and Ann. When on TV and away from the cameras, he was renowned for always being accompanied by a black Labrador, of which he owned several in succession. He received the MBE in 1984 and had the honour of being the subject of Eamonn Andrews big red book for an edition of “This is Your Life”. He also received possibly the greatest accolade of all when appearing as a guest on the “Morecambe and Wise Show”. Percy died in 1988 at the age of 75 in Wolverhampton. In a radio interview shortly before his death, Percy acknowledged that his success came from being down to earth, straightforward and sincere, as well as keeping his feet on the ground. Do you have a favourite celebrity gardener? How do the likes of Alan Titchmarsh and Charlie Dimmock compare to the legend that was Percy? Did you ever have the pleasure of meeting the great man?